Oscar De La Hoya is 44 and hasn’t fought in nearly a decade. The Golden Boy says he’s been secretly training to return to action against Conor McGregor. Yes, the same Conor McGregor who De La Hoya claimed just five months ago would kill boxing for taking a blockbuster match against then-retired Floyd Mayweather. De La Hoya wrote “It’s like a circus” and “our sport may not recover” in a letter begging fans not to purchase the $99.95 pay-per-view spectacle. Oh yeah, about that CaneloGGG hashtag. Many believe that was the primary reason De La Hoya was attacking the Mayweather vs. McGregor show. As the owner of Golden Boy Promotions, who was promoting the Canelo vs. GGG boxing match, De La Hoya knew that if fans shelled out a Benjamin for MayMac, there would be little left a month later for the $79.99 Canel vs. GGG was demanding. Anyway, back to De La Hoya’s hypocrisy. When it was Mayweather/McGregor it was the worst thing to ever happen to boxing. Fast forward just three short months and now he’s perfectly fine with an MMA fighter-turned highly unqualified boxer fighting him. 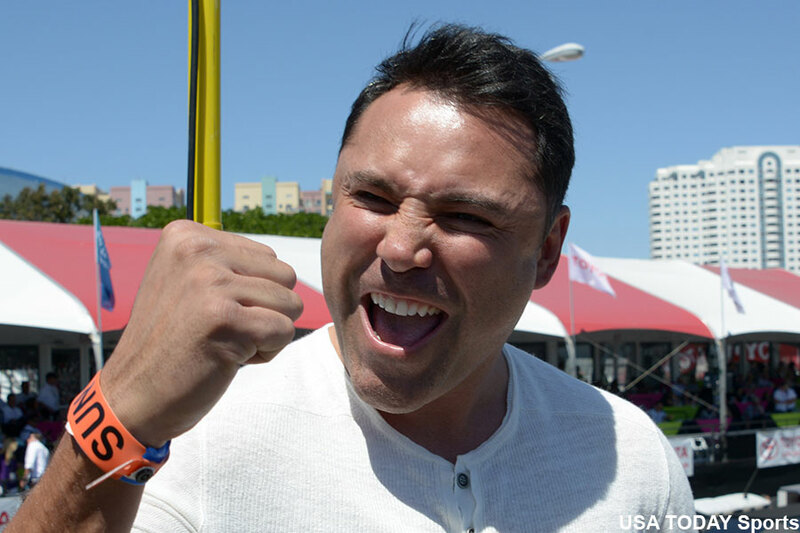 “You know I’m competitive,” De La Hoya said on Golden Boy Radio. “I still have it in me. I’ve been secretly training, secretly training. I’m faster than ever and stronger than ever. I know I can take out Conor McGregor in two rounds. I’ll come back for that fight. Apparently, De La Hoya started getting the itch to return to the ring this summer. Let’s be real. De La Hoya actually started getting the itch when he heard Mayweather may have banked more than $300 million for beating McGregor, who himself likely walked away with close to $100 million for 10 rounds of work. If De La Hoya can sniff anything close to that by goading McGregor into another boxing match, you can’t blame him for coming out of retirement. But it doesn’t change the fact that the hypocrisy is real.